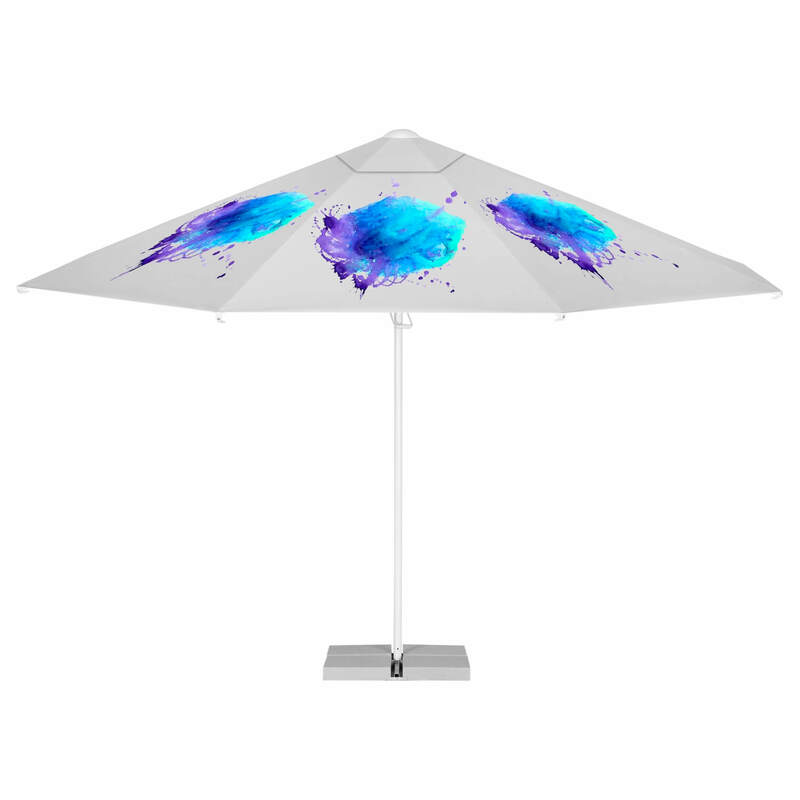 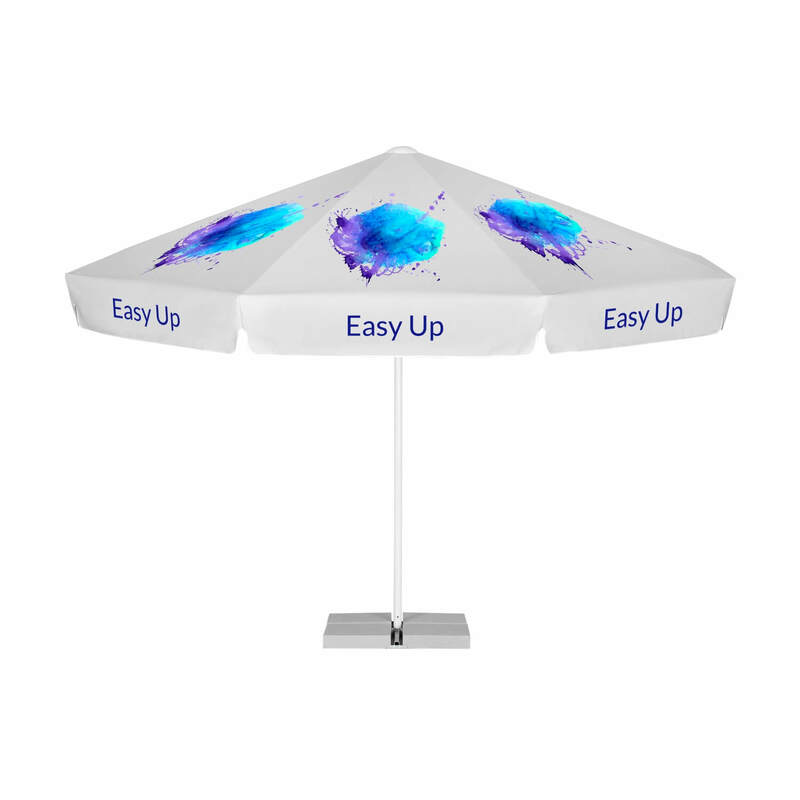 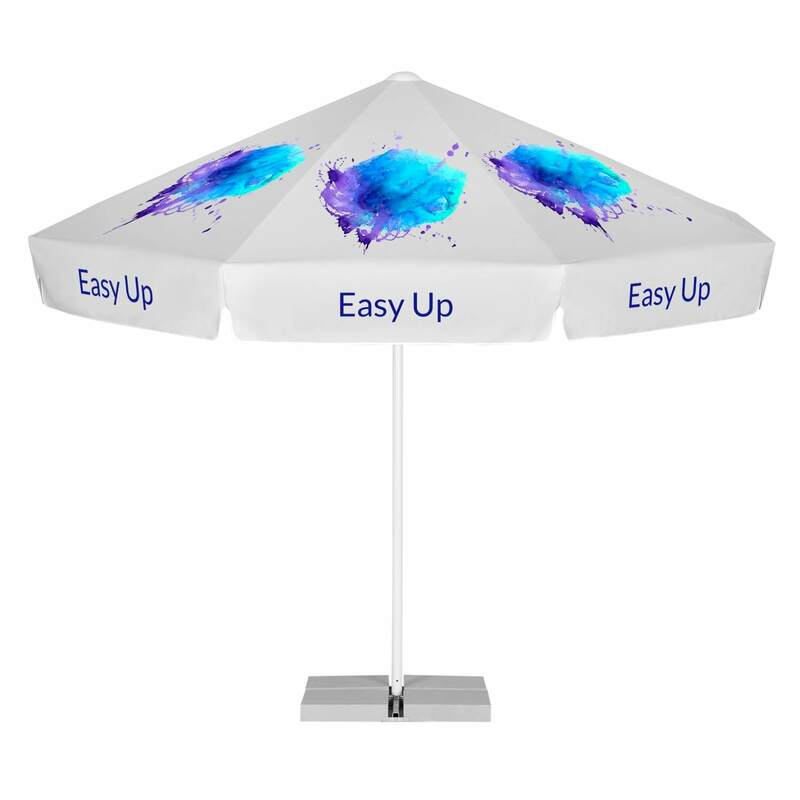 These parasols Easy Up are a popular alternative for brand presentation during fairs and open air events. 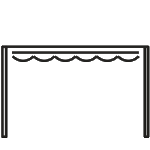 They are easy to operate thanks to a unique opening system – they use a bottom string and a skip handle. 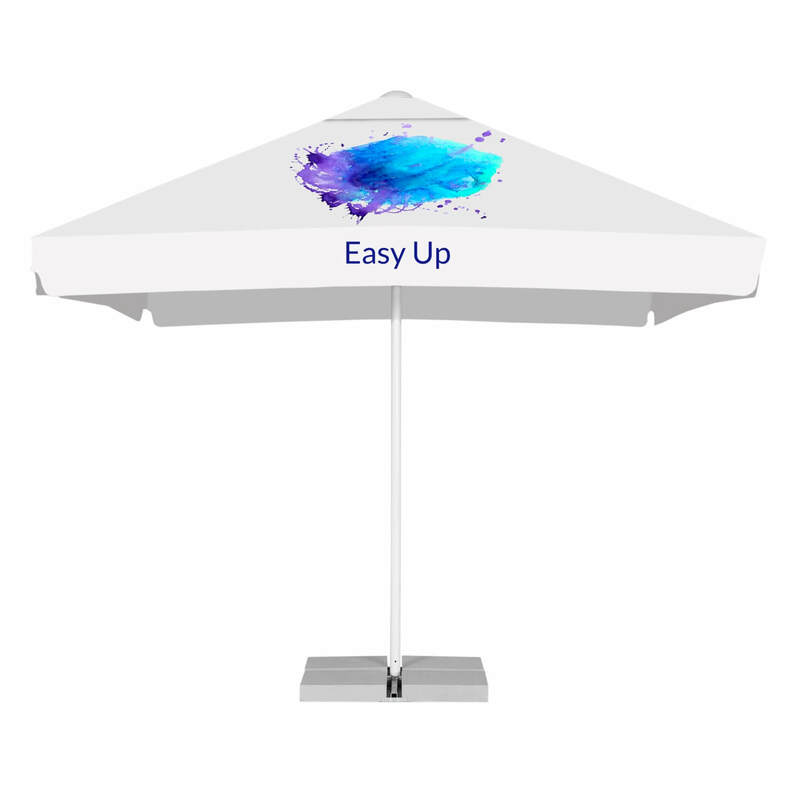 To open this easy up parasol, you just need to pull the handle upwards, secure the whole construction and that is it! 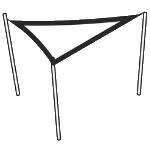 The item is ready to be used! Due to its construction, including eight arms and a central leg placement, the parasol is an ideal medium of advertising for every company or brand to be advertised during events in the open air. Its stable construction is secured with the use of high quality aluminium. Thanks to monochromatic colours of white and grey in the stand and base, it is also elegant. 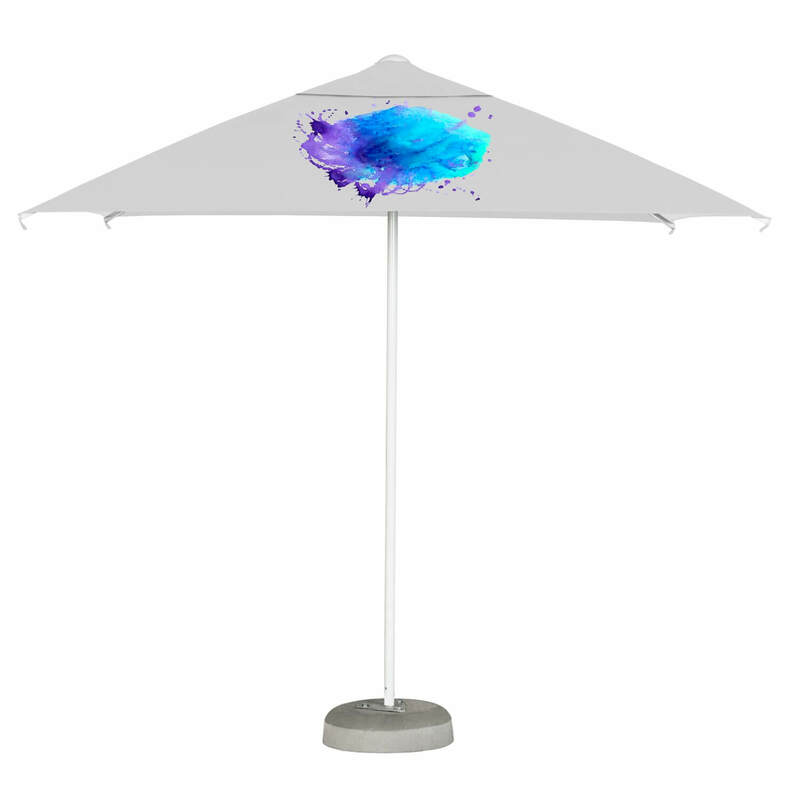 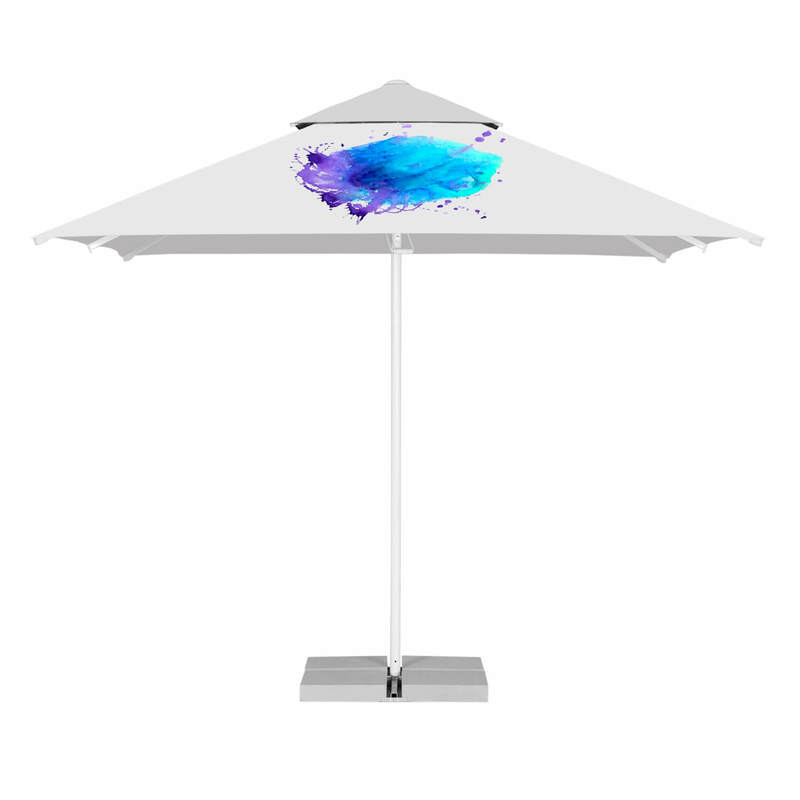 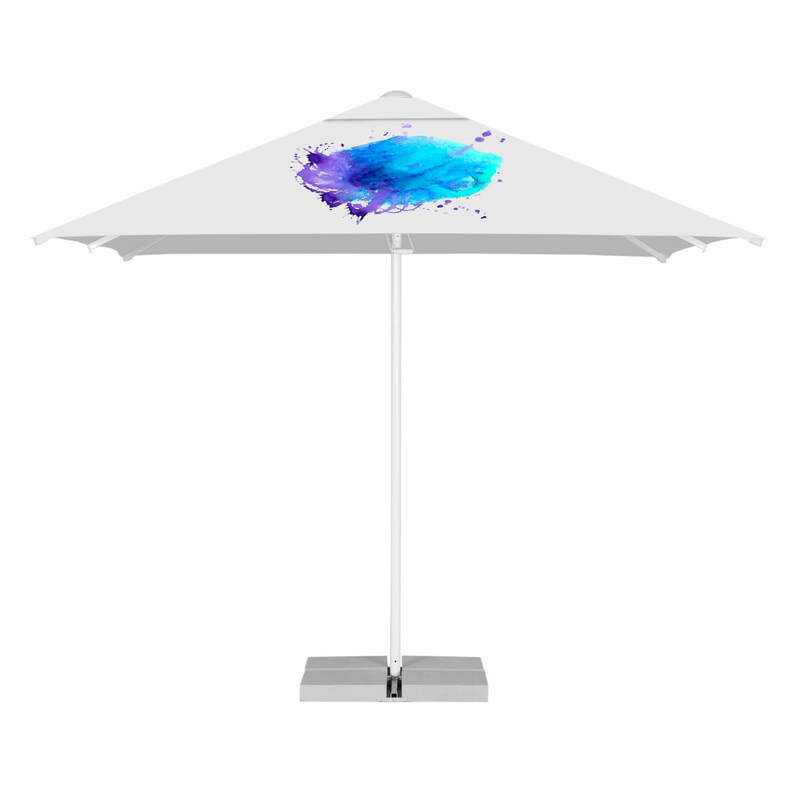 The parasol is orderable in two variants of canopy shape: round and square. 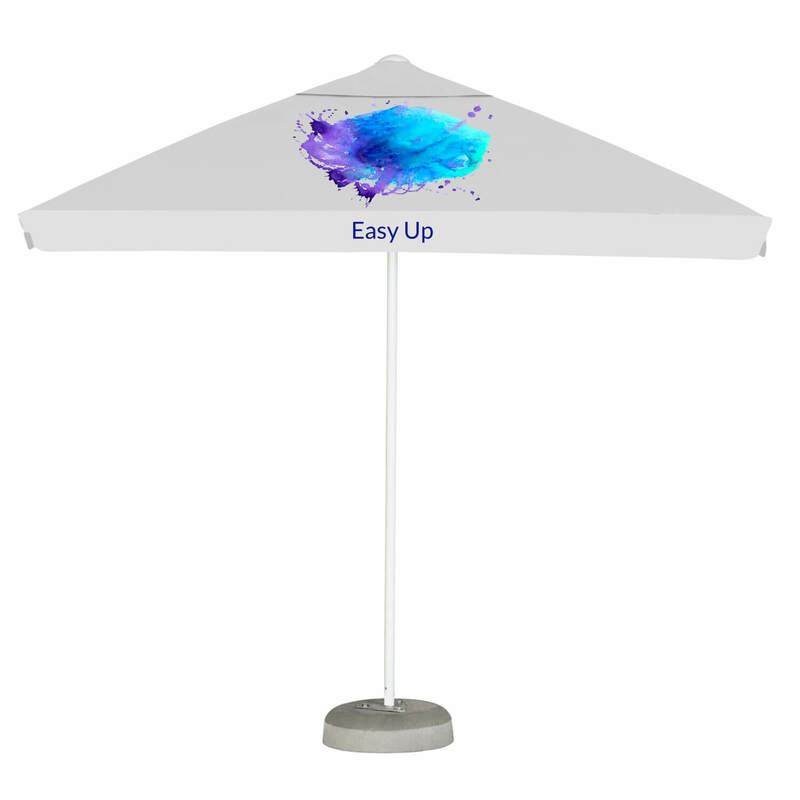 Parasols are delivered in a special packaging to prevent them from any damages during transportation.